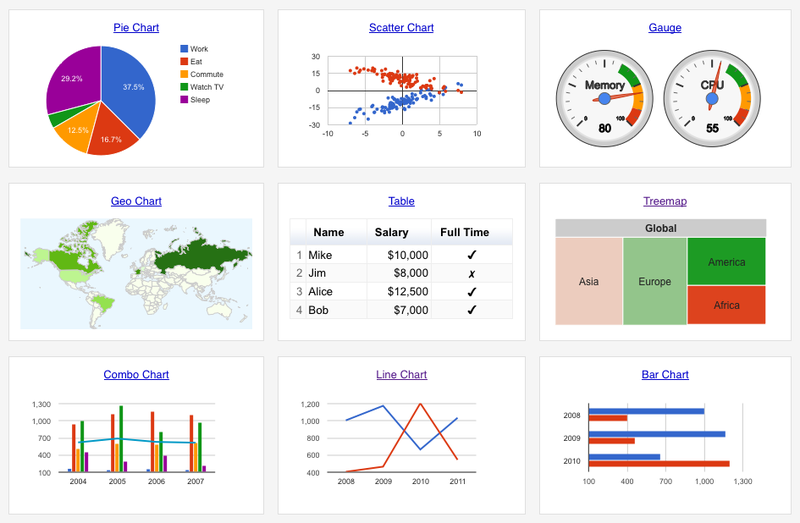 Adding charts to web-based applications is a common requirement. There are quite a few products on the market which can meet a variety of charting needs. This post discusses what to consider when selecting such tool and highlights several top product options. Most libraries include common charts such as line, bar, pie, area, scatter. Some support other chart types such as maps, dashboard meters and gauges, tree maps etc. Some products support combination charts, i.e. ability to mix different charts together. Esthetically some products may be more appealing than others. Products also differ in a level of look and feel customization. Products vary in level of interactivity. Some support zoom, drill down, drag and drop capabilities. Some products include real-time support, i.e. data feed integration. Some libraries support a limited set of browsers. This is not an issue for Flash based solutions. Flash is however problematic with some devices. Libraries differ in weight they add to a page. They also differ in ability to handle larger volumes of data. Integration in some cases involves literally adding a few lines of code. Other, framework type products may require extensive coding. Pretty much all products, including commercial, provide access to the source code. Products vary from research projects to commercial solutions. Some open source products are actively maintained while other projects may be getting only sporadic attention. There are bleeding edge options and mature, widely used products. There are free products and paid for commercial solutions. There isn’t a single answer for everybody. There are however a few leading contenders who would fit a broad range of circumstances. 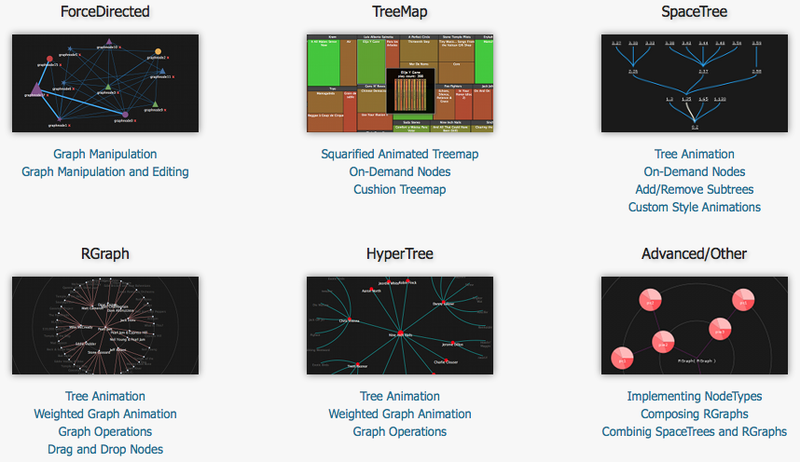 ZingChart includes a wide variety of charts. Vendor highlights performance and support for large data sets. Flash, HTML5, SVG and VML renders are available. Pricing can be found here. jqPlot is a free jQuery plotting plugin. 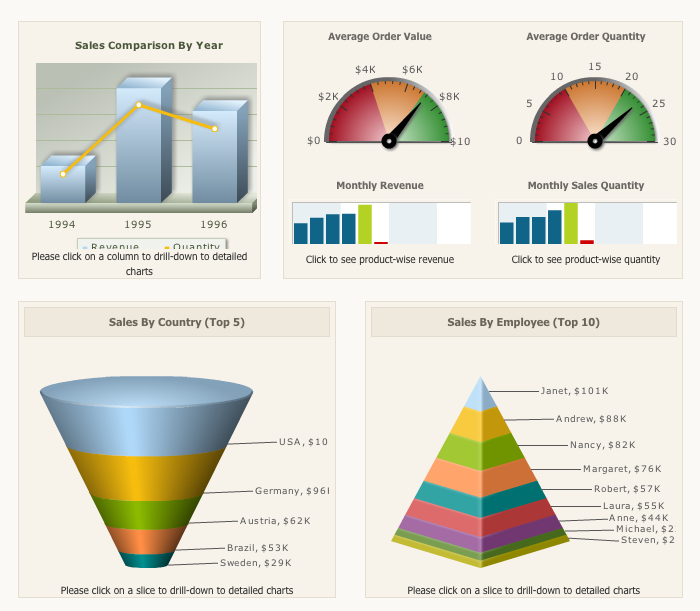 It renders commonly used charts and its key strength is ease of integration for anybody already using jQuery. This free plugin generates sparklines (small inline charts). How can you not have FLOT? Thanks for the include of http://www.zingchart.com. I’m on the team – can be reached at abegin[at]zingchart.com with any questions! Of course I would not mind. Please feel free to share. Great article, I particularly liked the points under ‘Feature Considerations’ and ‘Technology Considerations’. http://www.FusionCharts.com gets my vote. It has great variety in chart types, and is a robust offering, especially when stacked against the feature & tech considerations you mention. VanCharts(http://www.vancharts.com/) will be another good choice. It supports gantt chart,and aside from JS chart library, VanCharts also supplies iOS and Android native charts library for users. Do you need a code freeze?